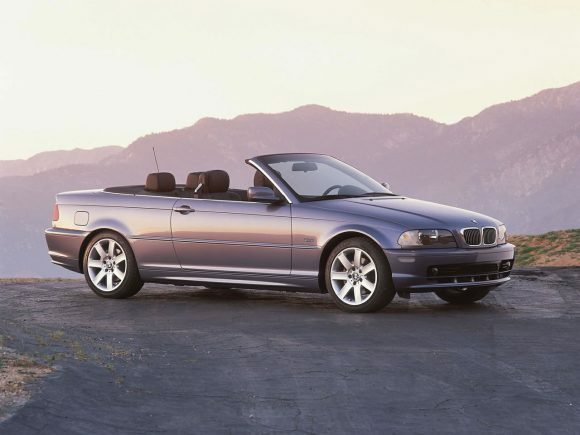 The BMW 3-Series Convertible has long been the king of the four-seat convertibles and the E46 Convertible was no exception. It mixes style with a stiff chassis and good handling. The BMW 3 Series is an understated style icon and looks stunning with the fabric roof folded down. The only compromise is limited rear and boot space due to the rear wheel drive. 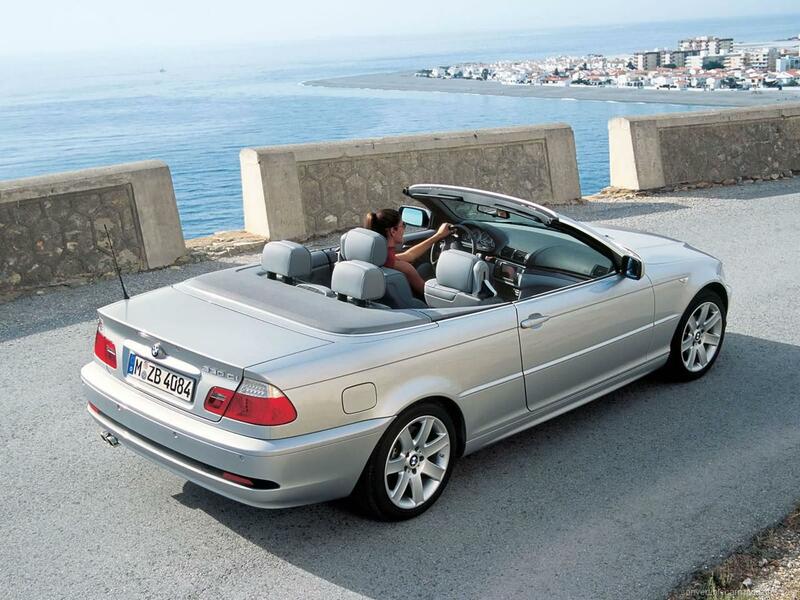 This E46 BMW 3-Series Convertible was replaced in 2007 by the E90 model with a folding hardtop roof. The appeal of the BMW 318Ci Convertible lies in its low running costs rather than its performance. That said, keen drivers won't be completely disappointed as the responsive chassis and light engine keep things entertaining. The improved economy compared to the 320Ci make this one a better choice. 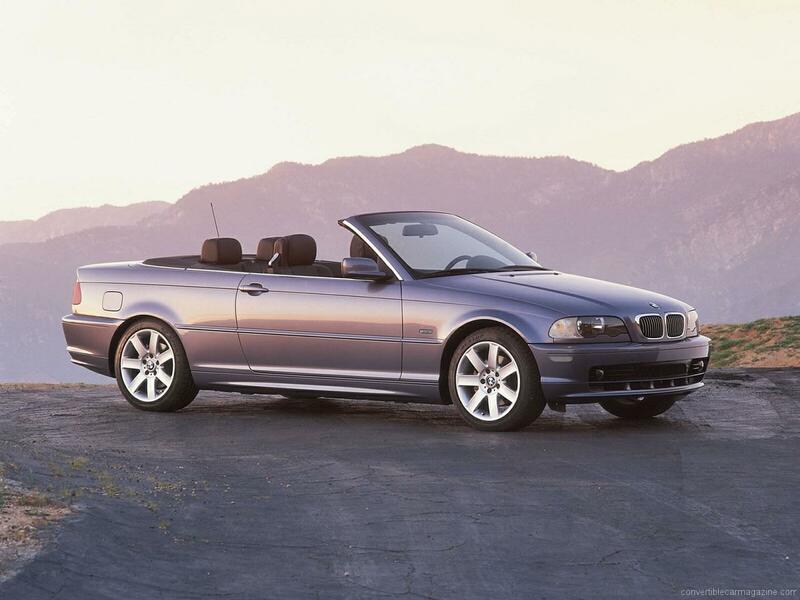 With a straight six cylinder engine, the BMW 320Ci Convertible continues the company's tradition of smooth running sporting cars. It does not however, produce much more power than the smaller, lighter 318Ci engine which has much better economy. Drivers looking for sporting performance on the other hand are probably better looking at the larger capacity 325Ci or 330Ci alternatives. BMW 325Ci Convertible strikes an almost perfect balance of performance and economy. It may not be an M3 but is plenty quick enough for most of us with its classic BMW straight-six engine up front. Handling is finely balanced and the normally aspirated engine offers good economy for its power output. 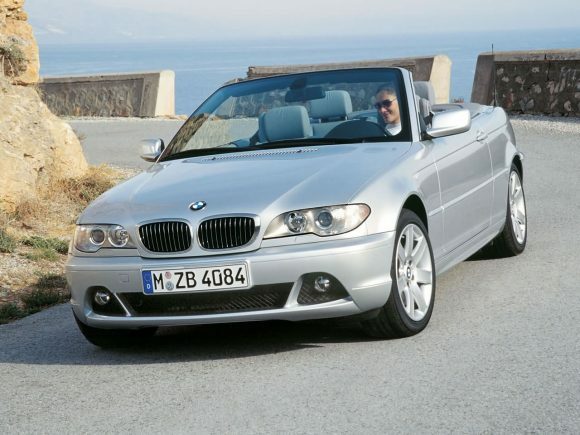 The BMW 330Ci Convertible gets a great engine which matches power with reasonable economy. It is fun and responsive to drive yet has smart, grown-up looks. It won't draw the attention or used prices that an M3 will but those who know will see you chose the smart option. The Sport version further improves the handling. 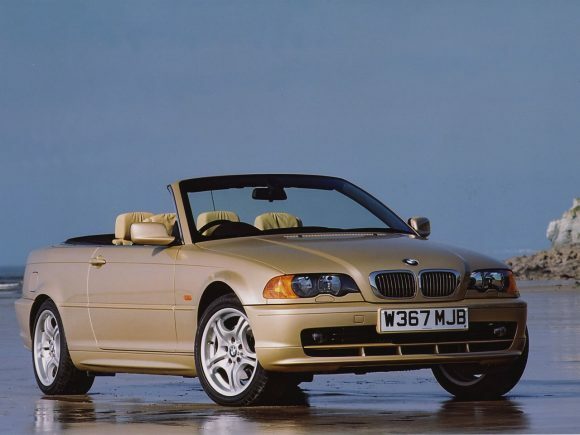 The BMW 3-Series 320Cd Convertible was one of the first diesel powered convertibles and impressed drivers with its combination of pulling power low in the rev range and muted engine note. Not perfect but the economy is much appreciated by fans of open top cars who needto cover high mileages. 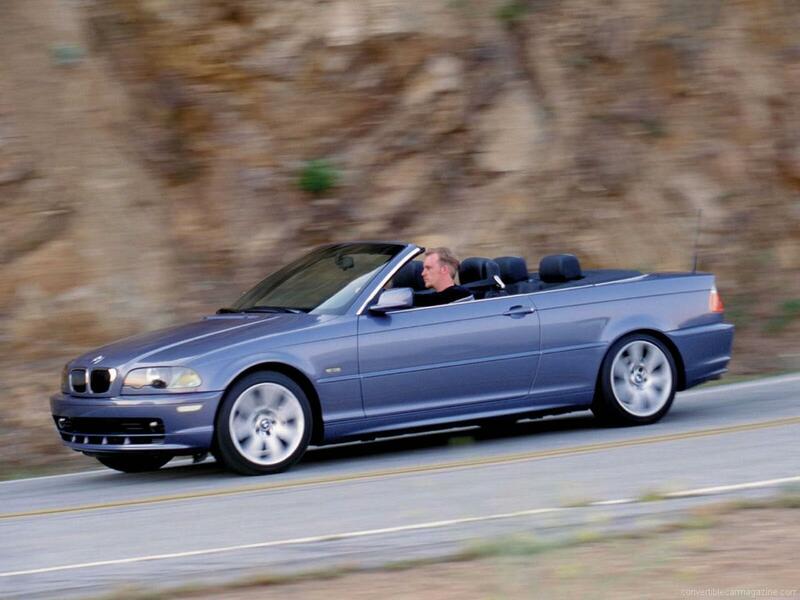 Do you drive a BMW 3-Series Convertible E46? Would you recommend it to others? Join the conversation and let us know what you think of the car. This BMW currently has 10 owner reviews. BMW did make an optional hardtop for the E47 series convertible. They often change hands on Ebay. Recently purchased a 2001 320i convertible – looking foward to Summer! A great drive with good economy. It is in black with red interior on 18″ M wheels – looks great and is a real head turner. The only negative that I have found are the huge blind spots on both sides towards the rear with the roof up. If you want a convertible with four seats, look no further. We bought a 2002 BMW 320 Ci convertible in 2011 with 125.000 km on the speedo. Black paint, black leather, automatic tm, electric seats, front seat heating. Great trip to Italy. But a few thousand km further we had to spend another 4,000 Euros (3,000 Pounds) altogether for all kinds of repairs like broken generator, new cooling pump, trunk lights, axis supporters, break disks, etc. etc. We love it but be aware that after purchase you’ll have to put some serious amount of money into a ten-plus year old car before hitting your motorways, even if it is a BMW. Just bought a 52 plate 330ci convertable. Fantastic car addicted to that engine sound. Well made as most of you know. Just added a sprint booster to the throttle pedal, as they tend to have a flat spot up to 3000 revs this has made the car a animal best mod you can do overhaul no other problems will be keeping this car for years to come. I’ve owned 4 x 3 series convertibles, 2 x e36, a 320i & 325i in Sydney and 2 x e46 a 325i & 330i in Christchurch, the latter being the best to own and drive over the last 11 years. Fantastic combination of sound, performance, comfort and special, all with 4 seats. Every time I get into the car and start it up I’m reminded how good it is. I’ve owned faster cars i.e. 2 x 911’s but day-in day-out they are no match for the beamer. If you find a good one buy it and feel the joy of real motoring, cars available in 2014 are point and shoot devices with no motoring charm. That’s great to hear – as I have just acquired a 330Ci – my fifth BMW and it feels, sounds, looks and drives great ! 330i convertable Msport in silver 60k on the clock, full service history and recently had BMW service 2 inspection. 2005 latest car with Led rear lights fantastic condition and roof excellent. I paid 6k for this car in the winter of 2016. What a fantastic car!! I can honestly say I don’t see a better looking car on the road today and this car is over 12 years old! The three litre six pot sounds fantastic, nothing like any modern car today, lets face it their all much the same. If you find one of these in good nic, look after it and keep it, great fun! Mine is a manual which is rare to find and probably cheaper long term. The car is pretty bullet proof being German, and if you keep it serviced it will run and run. Wonderful to drive, Enjoy!! I’ve had my 2003 facelift 330ci now for 6 months – 7000 miles in that time. Ironically compared to my Volvo C30 it’s been far more reliable! Although I adored that car too. I really, really recommend looking at YouTube videos for buying guide checklists. Also going on the E46 fanatic forums and looking up these checklists. The engines are robust but many things like oil leaks, rear subframe cracking (mostly pre 2003), essentially guaranteed suspension problems at 60-80k, and other silly things can be expensive or just a pain if they haven’t been done by a previous owner. Oh and make sure it’s had the passenger airbag recall! Assuming, like me that you’ve been lucky and picked up a beauty – it’s just fantastic – It drives beautifully, balanced, satisfying and sounds far better than expected. Practical boot which surprises most and I’ve carried 2 adults who are 6ft 6 tall in the back for 2 hours in comfort! Despite the leg room criticisms in reviews, it did better than expected. Running costs? Well I do 1300 miles a month and I’m getting through £300 a month in fuel – averaging 28-29mpg without motorways in my life. I can truly get 36-37 on long motorway drives – that’s with UK motorways constantly slowing down and speeding up too. If you haven’t got the money for £300 a month in fuel (not sure that I have to be honest!) then make sure you consider this car as a weekend/summer runabout primarily! Otherwise, if you’ve got the money for a more expensive convertible – pick this instead! The only unexpected negative of this car is the sound system – shockingly bad, my cheap Hyundai first ever cars had better sound systems. Even the Harmon Kardon isn’t great. But £170 later and I’ve got far superior Hertz speakers all round with tweeters too. Worth considering if you’re an audiophile. Overall I highly recommend this car to anyone who’s happy to do a bit of googling and a few routine checks each month! It’s the perfect blend of everything – buy a wind deflector too, the best money you’ll possibly spend on the car!